A review of circumstances, people and documents related to the Carpenter Affair. Two years ago I began publishing a series of posts on the Leah Haley case. I found a number of aspects of the woman's story of interest. Researching and writing about her experiences led to many intriguing and relevant aspects of ufology. Among them was something that came to be known as the Carpenter Affair, a chain of events in which hypnotist John Carpenter accepted approximately $14,000 for delivering copies of the case files of 140 clients – people suspecting themselves to be alien abductees – to Robert Bigelow and his now dissolved National Institute for Discovery Science. The 140, which included Haley, were not informed by Carpenter that he made such arrangements. Carpenter was the director of abduction research for the Mutual UFO Network at the time, the 1990's. He was also a Missouri Licensed Clinical Social Worker. Several posts here at The UFO Trail addressed the Carpenter Affair, including The Leah Haley Case: John Carpenter, which contained statements obtained from the man during January, 2012. While Carpenter acknowledged he was provided cash from Bigelow on multiple occasions and that he delivered abductee information to Bigelow, Carpenter denied that any of his former clients were hurt in any way. Additional remarks of potential interest from Carpenter included stating that other researchers of alien abduction were approached with the same proposal as he and that some of them may have also shared data. News of the Carpenter Affair first began to reach the public in early 2000, and Gary Hart became a principle reporter of the circumstances. He therefore viewed the related posts at The UFO Trail with interest. In August Mr. Hart chose to submit comments to the blog, addressing some key points that he stated Mr. Carpenter repeatedly ignored or twisted to a brighter point of view. Mr. Hart and I then began a series of interactions. At my request, Hart explained how he came to provide MUFON in 2000 - and then the State of Missouri in 2001 - with information related to the Carpenter Affair. Long interested in ufology, Hart informed me he was investigating a UFO case in 1999 when he met with some abductees who confirmed rumors of the file sale. In addition to telling Hart about events surrounding the Carpenter Affair, they also told him MUFON was doing nothing about it. Hart took interest, and recently described the chain of events. However, Hart was disappointed to confirm MUFON leadership was already aware of the situation. The organization took no corrective actions, left Carpenter in a position of authority and continued to encourage people to participate in his hypnosis sessions. 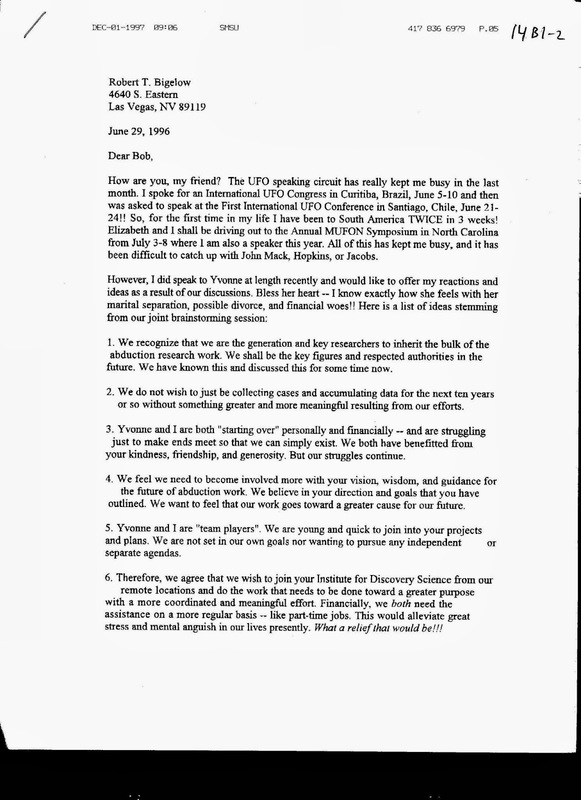 A portion of Hart's formal complaint filed to MUFON was contained in a July, 2000, email published at UFO UpDates. Hart specified at the time that some of the information and documentation might well need to be on public display, emphasizing that the best interests of the organization and the public were not served by keeping the circumstances secret or out of public view. Such documentation, Hart wrote, included letters written by Carpenter to Bigelow, as well as a letter written by Carpenter's attorney. Some of those documents and their significance will be explored shortly. The information contained in Hart's reports and formal complaints was originally obtained from a variety of sources, he told The UFO Trail, including Carpenter's ex-wife, Elizabeth. “I found Elizabeth to be truthful in my many talks with her,” Hart explained, adding that the same could not be said for Carpenter. Another source of information was Leah Haley. She supplied Hart with evidence during his original investigation and much more recently provided The UFO Trail with copies of a document she gave Hart for inclusion in his 2001 report to the State of Missouri. Copies of letters written by Carpenter to Bigelow and included by Hart in his submissions of evidence to MUFON and the State of Missouri were provided to The UFO Trail. 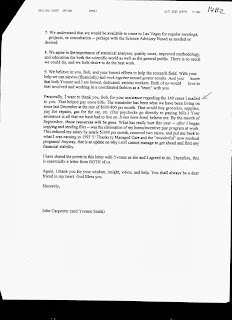 One such letter (see the two images to the right) dated June 29, 1996, primarily dealt with advising Bigelow that Carpenter and fellow hypnotist Yvonne Smith agreed to conduct work for Bigelow and receive financial compensation in return. Additional statements written by Carpenter, however, further suggested that his January, 2012, assertions to The UFO Trail were not entirely accurate, and that he had for all intents and purposes sold abductee case files, whatever terminology one might choose to describe it. Carpenter was recently offered an opportunity to comment. He was supplied a copy of the 1996 letter and specifically asked about the discrepancy between his statements of January, 2012, in which he emphasized he never sold his cases, and his above statements contained in the letter. While Mr. Carpenter may describe his activities as he chooses, it is not difficult for this writer to understand why some interpreted that case files were sold. One might also empathize with those who feel that to suggest otherwise is misrepresenting the circumstances, or, at the least, evading the relevant issues. Carpenter added that measures were taken to protect confidentiality of the witnesses, including changing or blacking out names, an issue that has at times been disputed, as well as had its practicality called into question. Some argued that Leah Haley's name, for example, would not necessarily have to be on her case file for an even somewhat well informed individual to recognize the file as pertaining to her. Much more importantly, competent arguments have been made that whether or not the client names were included is completely beside the point. By 1997, Carpenter's former hypnosis subject and then-wife Elizabeth, a self-described abductee, had privately informed some other abductees their files had been sold. Responses would eventually range from absolute rage to complete denial that Carpenter would have done such a thing. A group of abductees who felt betrayed decided to explore legal action and retained lawyers. In a series of events that spanned three years and continue to be unclear, no charges or civil action were brought against Carpenter and the case was dropped. Some were under the impression a statute of limitations expired, some thought lawyers representing the abductees would have had a great deal of difficulty quantifying damages, while yet others suspected more devious causes. Whether or not it had anything to do with the case being dropped, a recurring dynamic within such circumstances involves defining exactly what is taking place between a hypnotist and their subject, particularly in the context of investigation of alien abduction. Hypnotists continue to often avert from formally defining the role of hypnosis subjects who might be considered research subjects or therapy clients, but are much more frequently simply referred to as abductees or witnesses. Further clouding the issue is failure to define the specific role and obligations of the hypnotist/investigator. A licensed social worker, for instance, could be interpreted to be administering professional services to some type of clients, while the hypnosis subjects of an artist or historian might tend to be interpreted differently, and whether or not they should be. Such are the specifics that abduction researchers and organizations that support them perpetually omit from clarifying in their methodology and in practical manners. A 1997 letter from the law office of William E. Stoner, Carpenter's attorney, was mailed to legal counsel for Carpenter's former clients and in response to allegations of wrongdoing. The letter suggested Carpenter was not acting in a professional capacity when working with the individuals, making it a moot point whether or not he sold information contained in their files without their knowledge or consent. However, copies of additional documents provided by Hart clearly show that was not completely correct. 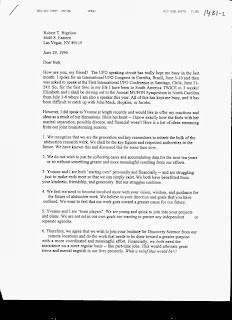 A 1994 MUFON regional newsletter (see images to the left), crediting Carpenter as the editor and published some three years prior to the letter from Mr. Stoner's office, informed readers they could use credit cards, bill insurance companies and set up payment plans for Carpenter's hypnosis sessions. The newsletter also announced Carpenter's move to a new office at the Center for Neuropsychiatry where he would be conducting hypnosis sessions. Carpenter's professional business card, stating his credentials as a social worker, was displayed at the top of a page. The announcement stated that his hypnosis practice and research of anomalous phenomena, and specifically “UFO abductions”, would be openly and professionally supported at the Center for Neuropsychiatry. Obviously, Carpenter prospected for self-described abductees, accepted financial compensation for conducting hypnosis sessions and did so from a professional medical facility while billing insurance companies. 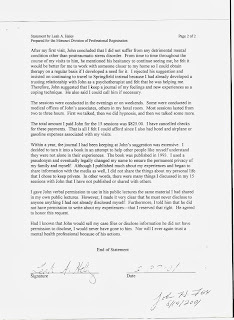 Clients had no reason to suppose they were dealing with a financially uncompensated man “collecting data for his own personal pleasure”, as Mr. Stoner's office framed it, as compared to a mental health professional conducting paid services bound by applicable laws and codes of ethics. A 2001 two-page document prepared by Leah Haley (below, right) for inclusion in Gary Hart's complaint to the Missouri Division of Professional Registration further called into question the portrayal of the situation as described by Mr. Stoner's office and Mr. Carpenter. Ms. Haley explained how John Carpenter originally presented himself as a mental health professional, repeatedly assured her that all information discussed would be kept confidential and provided her with an assessment of her mental condition. Such circumstances would of course not lead one to interpret Carpenter was acting in a recreational capacity. Moreover, Haley paid Carpenter. Haley greatly revised her opinions of her experiences, the validity of regression hypnosis used as a memory retrieval tool and, unfortunately but understandably, the integrity of some members of the mental health industry. In 2000, after legal options dissolved, Elizabeth created a website and published details of the Carpenter Affair. If her intentions were to inform the public and force discussion, she was successful. UFO Updates provided access to an abundance of comments on the topic. 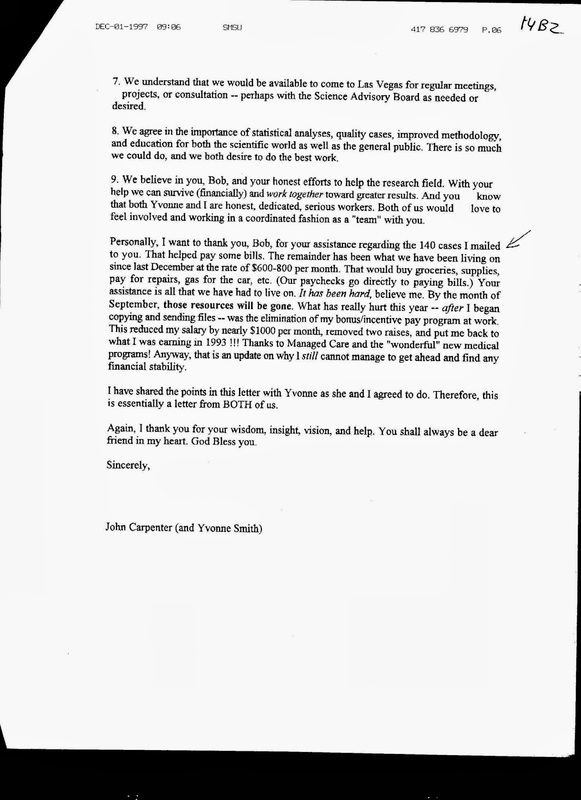 In a July 20, 2000, email, John Velez challenged Budd Hopkins and his position of downplaying the significance of the Carpenter Affair. Selling files for cash, Mr. Velez emphasized, with no notice to the witness, was unacceptable under any circumstances. One of the few ways to insure it didn't happen again, he explained, was to shine a lot of light on it. Up to that point, long standing MUFON Director Walt Andrus had privately rationalized Carpenter's actions, seemingly attempting to deflect responsibility from MUFON. He stood on such platforms as suggesting the abductee files were Carpenter's personal property, making it a non-MUFON issue. If that was the case, critics countered, then exactly what did Carpenter do in his capacity as MUFON director of abduction research? And was that to suggest MUFON supported such conduct from its board of directors? Hart's complaint to MUFON cited how Carpenter had stated his title as a MUFON official, presented his professional business card and used his licensed medical position to establish trust with witnesses. 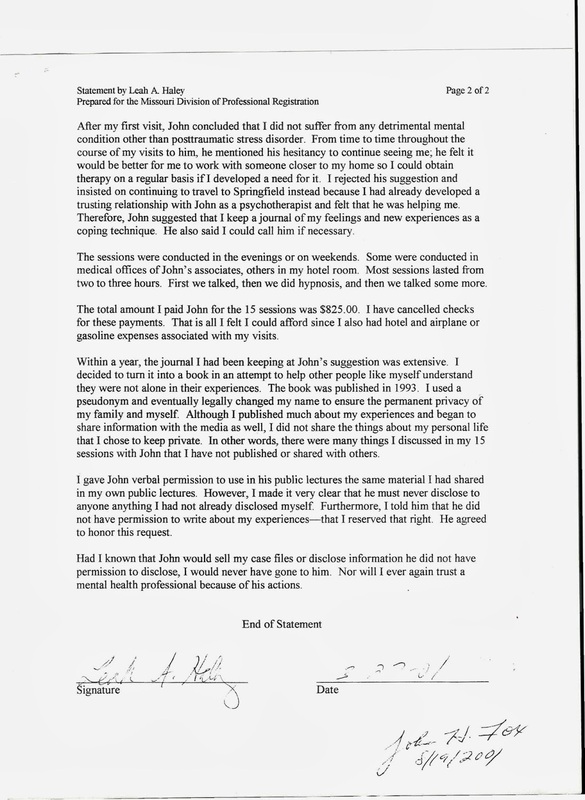 In many cases, it was stated, Carpenter then obtained personal medical records, combined them with taped hypnosis sessions and sold the personal case files, among other indiscretions and unauthorized entrepreneurial ventures detailed and demonstrated within the complaint. About the time the Affair went public, Director Andrus handed off the job to MUFON board member John Schuessler. 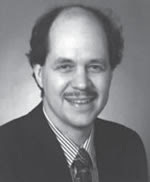 Critics feared Schuessler was biased towards minimizing the Carpenter circumstances and would not offer the situation objective concern, as he was a member of a science adivisory board for NIDS and Bigelow. Some argued it likely he knew about the situation and failed to take action for years. "In addition, you Executive Committee members owe all of us in the entire field of UFO research not only a full, written explanation as to who on the MUFON Board originally knew of the 'Carpenter Affair' (and when they knew it) but also a published apology for their having embargoed or otherwise downplayed that knowledge at the expense of the rest of the Board. If we have a lesson to be learned from this debacle, how about this one: Enforced silence never can be the ally of truth!" “Our readers will recall that in our Sept. 5th issue, we told you of the internal scandal in MUFON regarding the fact that John Carpenter, their Director of Abduction Research, sold one hundred and forty (140) abduction case histories to wealthy [Robert] Bigelow of NIDS (National Institute of Discovery Science). John Schuessler, the new czar of MUFON, has promised an investigation by an Ethics Committee consisting of four unnamed members of their Board of Directors, and he has stated that the results of this internal investigation will be published in the MUFON Journal. Schuessler thanked Carpenter for his work and generosity. “We will miss this important source of information,” he wrote. To the best of my knowledge, MUFON never directly informed its membership or even the 140 former clients of Carpenter of the circumstances. It is a strong possibility that a large majority of the 140 still do not know about the Carpenter Affair. The Missouri licensing board investigated Hart's complaint and handed down a five-year probation period on Carpenter's license as a clinical social worker. The period was completed in 2006 and the license is currently under no disciplinary status. Carpenter was also offered an opportunity to comment on some specific previous remarks in addition to those addressed earlier in this post. In January of 2012, Carpenter stated to The UFO Trail that additional researchers were approached with similar offers as he, and that some of them may have also shared data. Encouraged to directly address details of such circumstances and expand on those remarks, Carpenter chose not to do so. Controversy would continue to surround the MUFON activities of both Mr. Bigelow and Mr. Schuessler. In more recent years a failed collaboration between the nonprofit UFO research organization and Bigelow Aerospace Advanced Space Studies included some major funding, initially reported to be provided by Bigelow. The deal went south amid many complications that included dismissals and resignations of MUFON personnel. In January, 2011, former international director for MUFON, James Carrion, wrote at his blog, Follow the Magic Thread, "Mr. Bigelow did not fund MUFON’s work for BAASS, instead 'sponsors' that Bigelow revealed to John Schuessler but not to the other MUFON Board Members put up the money." 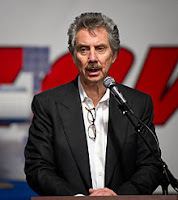 Multiple attempts were unsuccessful to obtain comment from Robert Bigelow for this post. His statements continue to be invited should he ever be inclined to provide them. John Schuessler was sent emails requesting permission to ask a few questions related to the Carpenter Affair. No responses were received. Colonel John Alexander, a former NIDS staff member and among those originally confirming the Carpenter Affair, was asked earlier this year to please comment on related issues, such as any interest he may have had in the 140 case files. He was also asked, in his opinion, why Mr. Bigelow obtained copies of the files and financed Carpenter's activities. The colonel was additionally requested to please comment on whether other researchers supplied Bigelow with files, as Carpenter suggested. Relevance: Was 'Everyone' Doing It? In order to understand the culture of the UFO community of the 1990's, one should be aware that a great deal of attention was given to alleged alien abduction. This subsequently included wide tolerance of the use of regression hypnosis as a memory retrieval tool and related concepts. Researchers such as Budd Hopkins, Dr. John Mack, Dr. Karla Turner and others were giving the masses much to consider. Our English counterparts at the British UFO Research Association enacted a moratorium on the use of hypnosis in 1988 which continues today, but little could have been further from the procedures conducted by American abduction researchers. Much more is publicly known today about the challenges inherent to using hypnosis as a memory retrieval tool than was the case 20 years ago, and that should be taken into consideration when reviewing certain circumstances. In all fairness to Carpenter and abduction researchers of the 1990's, it bears mention that rarely can one push edges of the envelope and avoid controversy at the same time. It is also of course much easier to assess past circumstances than it is to accurately gauge the bearing today's choices will have upon tomorrow. Whatever one may choose to personally think about John Carpenter, the facts of the matter are his actions were reviewed by applicable bodies, consequences resulted and Mr. Carpenter served his debt as ruled. That is the case whether or not any given party may feel consequences were either excessively strict or negligently soft. The Carpenter Affair nonetheless continues to be relevant for a number of reasons. The investigation conducted by Gary Hart demonstrated, among other things, an extremely detrimental lack of clarified boundaries between hypnotist and client. Expectations of acceptable behavior were not clearly defined and were virtually nonexistent. Attempting to use information obtained during regression hypnosis as evidence of alien abduction stands on an extremely slippery slope under the best of conditions, but given the circumstances of Carpenter's activities, The UFO Trail tends to agree the work was rendered worthless as Hart previously observed. One particular relevance of such circumstances is that the work continues to be periodically cited, while completely omitting mention of the environment and conditions in which hypnotic narrations were obtained. At this point and in actuality, some of Carpenter's former hypnosis subjects have revised their opinions of the validity of the information induced during their sessions. Even more importantly, the circumstances were not isolated incidents. Other hypnotists have been demonstrated to similarly and detrimentally blur the lines between hypnotist and friend, investigator and therapist, entrepreneur and truth seeker, authority figure and lover. There is much material available on extreme errors in research methodology and resulting flawed conclusions associated with the work produced by ufology hypnotists. In spite of that being the case, their work continues to be selectively cited as justification for fantastic and unsupported assertions. Their work is also counter productively cited as reason to continue the futile use of regression hypnosis while their activities actually included many of the same emotionally unsafe and dysfunctional dynamics as did Carpenter's. As Hart documented in his formal complaint to MUFON, one well known researcher informed him "everyone does it," referring to researchers commonly both selling case files and having sexual relations with alleged abductees they investigated and hypnotized. Further complicating the circumstances were and continue to be tendencies to intermittently refer to such individuals as abductees, hypnosis subjects, witnesses, clients of some type, including therapy clients (and sometimes whether or not the hypnotist was actually qualified to conduct therapeutic activities), and similar such titles. It has become apparent enough during the past 20 years that a detrimental byproduct of the circumstances, if not an outright intention, is the creation of opportunities for hypnotists and organizations who support them to vacillate on the nature of the relationships. Ambiguity is maximized and accountability is minimized. The well of regression hypnosis was tainted at the emotional and financial expense of, by any other name, research subjects, and to the benefit of some hypnotists. It was done while details of the activity and its minimal efficiency were and continue today to often be misrepresented. All of that stated, the Carpenter Affair remains relevant for yet another reason: The circumstances involved many more people than just John Carpenter. While he receives the majority of the attention for obvious reasons, the chain of events directly involved and were enabled by significant members and organizations of the UFO community. The involved parties influenced trends and public opinion before, during and long after the Carpenter Affair. 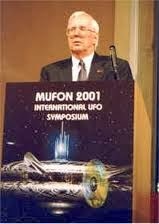 Gary Hart emphasized during our interactions and while entertaining my questions that he felt a most relevant aspect of the Carpenter saga was the MUFON lip service given its code of ethics and official procedures. Some of the policies that were consistently violated, Hart pointed out, included failing to properly inform and obtain consent from research subjects of the terms and conditions of their participation, a policy that Carpenter himself suggested be implemented yet obviously neglected to practice. MUFON leadership not only failed to correct the circumstances, but supported their continuation for whatever combinations of reasons. “We can only do the best we can to help prevent this from happening again,” Hart concluded. Contact Jack Brewer, writer of The UFO Trail, through his blogger profile. Late 1980's: Springfield social worker John Carpenter was conducting regression hypnosis sessions with Missouri and Arkansas abductees. Early 1990's: Carpenter began working with Robert Bigelow on various projects. He soon began intermittently requesting and receiving financial gifts from Bigelow. 1991: Leah Haley became a hypnosis subject of Carpenter's and would eventually pay him a total of $825 for the sessions. Carpenter was appointed MUFON director of abduction research. 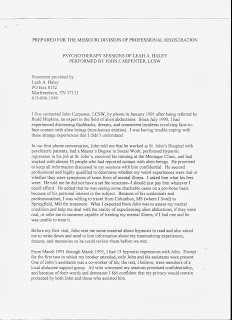 1994: Carpenter wrote in a regional MUFON newsletter that his professional office would be used for hypnosis sessions. Price and payment options were listed, which included billing medical insurance companies. 1996: Carpenter reached terms with Robert Bigelow to exchange copies of abductee case files for cash. 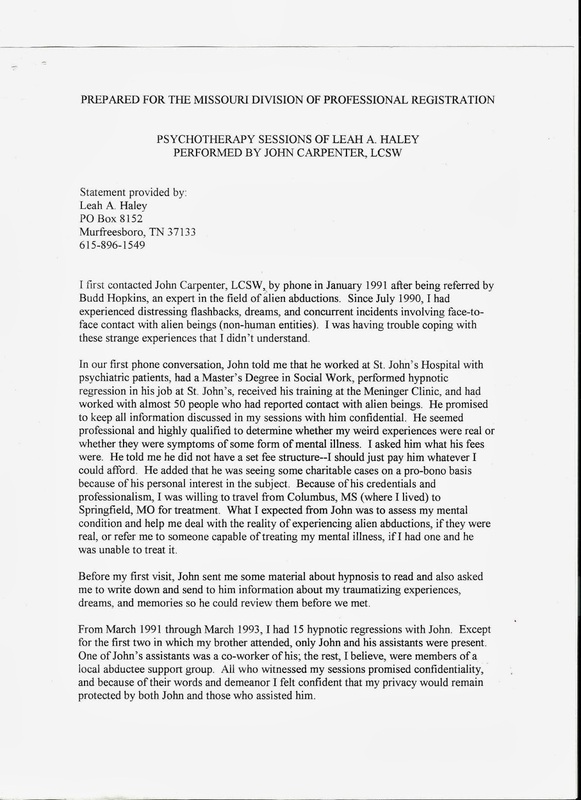 1997: Carpenter's former hypnosis subject and then-wife Elizabeth told abductees that Carpenter sold their files. Abductees were livid. Elizabeth secured evidence of the file sale, and divorce proceedings followed amid accusations of various forms of professional misconduct (Carpenter would later marry another of his former clients). Carpenter and abductees sought legal counsel. Carpenter's attorney claimed in a letter that Carpenter collected abductee data for personal pleasure and was not compensated. 1999: Hart heard rumors of the circumstances and was given details when he met with some of Carpenter's clients while investigating a UFO case in the vicinity of Springfield. They told Hart about the file sale and that MUFON was doing nothing. 2000: Attorneys representing the abductees dropped the case. Elizabeth temporarily launched a website describing the Carpenter Affair, likely out of frustration and to inform the public of MUFON inaction. Hart saw the site, contacted Elizabeth and investigated the circumstances, including interacting with several of Carpenter's disgruntled former clients. John Velez reported on UFO Updates that Bigelow, Colonel Alexander and others confirmed the reality of the Carpenter Affair. After investigating the circumstances, Hart submitted verified details in a formal complaint to MUFON, which continued to drag its feet and enabled Carpenter to retain his MUFON position and activities. 2001: Hart submitted a report and formal complaint to the State of Missouri Division of Professional Registration. John Schuessler wrote in the MUFON Journal that Carpenter vacated his MUFON position. Carpenter's license as a clinical social worker was put on a five-year probation period. Biophysicist William C. Levengood recently passed away. Mr. Levengood, who suggested during telephone conversations in 2010 that I call him Lefty, lived to see many decades of the ufology circus and its tent of hypotheses, research, exaggerations, hoaxes, lies and everything else it contains. As many are aware, Lefty became well known around ufology for his willingness to try to apply scientific research to what he termed crop formations and bovine mutilations. He conducted experiments in his Michigan laboratory and did field work. I contacted Lefty in 2010 in order to inquire about some points he had previously addressed in some of his research. He was quite willing to discuss his work with me and agreed it would be a good idea for me to record our conversations. He proceeded to tell me about such things as the "most unusual crop formation" he had ever seen. That was of reasonable interest coming from a guy who stated he had personally examined plants from over 300 formations. The most unusual, Lefty explained, was located in Kansas. "It had no bent nodes," he said, "the crops were not knocked down, there were no expulsion cavities, there were no visible signs, except, in these circles, the wheat grew at a different (increased) height!" He [Lefty] said the woman followed instructions very well, doing an excellent job of documenting details of her activities. Every seven days Levengood would retrieve the hair curlers from the previous week while supplying her with seven more, each packed with a plastic capsule containing seeds. He would then dig the plastic capsule out of each returned curler, review the related written information, and, interestingly enough, plant the seeds. He eventually came across the journal entry indicating an experience of high strangeness and the corresponding plastic capsule. “My God, I was dumbfounded,” Levengood recalled. The two halves of the capsule shell were melted together, he said, and the entire capsule appeared to be imploded. He carefully worked at the capsule long enough to separate the two halves, at which time he said it made a whooshing noise, indicating it had been placed under some kind of vacuum. According to Levengood, the seeds were not wasted. Quite the contrary. Levengood stated the seeds in question grew with “increased vigor,” significantly outgrowing the other seeds! Controversial and willing to take the heat, pardon the pun, Lefty contributed significantly to the UFO community in a variety of ways. In addition to his clever experiments, he also published a number of professional research papers. Lefty hypothesized that some crop formations may result from natural phenomena and that ion electron avalanches might play key roles. Some of his peer reviewed research papers were challenged and some were not. My interest in Lefty's work wound The UFO Trail through several circumstances, one of which was the blog of Dr. Jacques Vallee. Suffice it to say the doctor had some of his own extremely interesting ideas about crop formations that offered possible explanations much more down to earth than popularly discussed. The publishing of my above referenced series of posts on crop circles also resulted in some exchanges with the ever skeptical Lance Moody. I recall that Lance challenged some of the material, resulting in what I recall to have been a productive exchange of credible information and personal interpretations between Lance and I. That interaction indeed built a foundation for what became my respect for Lance Moody's opinions, as well as increasing my appreciation for constructive critical inquiry, an activity that Lefty, as well as Lance, also encouraged. William C. Levengood was not without controversy. Neither was he without critics. He did, however, do more than his part in challenging researchers to up their crop circle and cattle mute games. If more accurate ways to interpret and analyze the phenomena than currently employed are not utilized in our lifetimes, it's no fault of Lefty's. In 2012 I was conducting research which included submitting some requests for information to the Central Intelligence Agency under the Freedom of Information Act. It seemed to stand to reason that I might include in my correspondence a request under the Privacy Act that the Agency share any files it might have pertaining to yours truly. I was thinking along those lines because my research, as regular readers are aware, came to include meeting and corresponding with individuals who are members of the intelligence community. I have posed many questions to such individuals, as well as shared circles with members of the UFO community who believed they had been placed under surveillance at some period during their ufological activities. I have also corresponded with numerous foreign individuals who share such interests and circles. Such international correspondence has become quite commonplace in this information age, whether or not the intelligence agencies seem to think so. I long had suspicions that if one was placed under surveillance, then it was likely their contacts were subject to experiencing same, so I was not surprised when the public began learning more and more about the leapfrogging going on through the contacts of alleged individuals of interest. 'Friends of friends of friends' and all that. 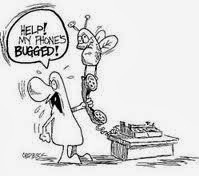 At any rate, I thought I would ask the CIA if they had any files on me so that when they told me, no, they did not, I could let go of that nagging feeling that I might be the guy bringing that cold bug into the office. In August of 2012 I received a response from the CIA informing me that, as I expected, other than our obvious interactions pertaining to FOIA requests, there were no additional files. "We were unable to locate any additional information or records responsive to your request," the letter explained. I actually empathize to certain extents with the policy of responding to requests in that manner. It could be argued pro or con, but it is what it is, and, believe it or not, it was rather direct as compared to some of the convoluted correspondence I have experienced with other agencies. Writer and researcher Gary S. Bekkum operates a virtual organization known as STARstream Research, a website and initiative in which he posts information about his interests in ufology, consciousness and related topics. That of course means the intelligence community, as well, and Bekkum has published a ton of research on the IC, the CIA-funded remote viewing initiative Project STAR GATE and similar subject matter. Bekkum recently published an article about an FOIA request he submitted to the National Security Agency in which he sought files concerning data related to his activities with STARstream. Similar to my lines of reasoning last year, Bekkum explained in his article how he asked for the info due to the nature of his research endeavors and circles of contacts. Bekkum explained in his article that he received a letter informing him that his request was denied. The NSA would neither confirm nor deny the existence of any such files as Bekkum requested, and he quoted specific parts of the letter in his article. In recent weeks I, too, had coincidentally requested files that might be available for release from the NSA related to me and my activities. Similar to my initial correspondence with the CIA, my request to the NSA involved additional inquiries and seemed like a reasonable idea. 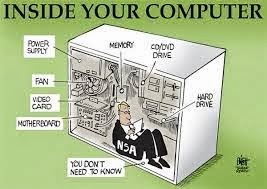 A few days ago I received a response that spent several paragraphs spanning multiple pages explaining policies and procedures related to the NSA/CSS (Central Security Service) mission, which, it was explained, "is to collect, process, and disseminate communications or signals intelligence information for intelligence and counter intelligence purposes.” Basically, an attempt was made to offset all the bad press. Comparing the NSA response I received with the letter Bekkum received and subsequently posted for readers to view, I found entire paragraphs that were written verbatim. As was my experience with the CIA, I would again confidently suppose the NSA responses to be matters of standard procedure. This is not necessarily to suggest STARstream Research or any other website and researcher may not have inadvertently caught a cold, but, nonetheless, the letters apparently represent the standard response to requests for files that are either nonexistent or classified. Again, competent arguments can be made for and against the practicality and impracticality of public policy for handling information requests in such manners. But support it, oppose it or understand it or not, one thing's for sure: the IC is telling us it's none of our business whether or not they have files on us. Take two aspirin and check back in a few years.